Jose Mourinho says Cristiano Ronaldo will lead Portugal to the World Cup semi-finals in Russia, seeing off France in the process and setting up a final four clash against five-time champions Brazil. RT earlier revealed which teams Mourinho is backing to emerge from the group stages in Russia, and we can now tell you exactly who he thinks will go all the way to the final four in the business end of the tournament. The Manchester United boss is tipping compatriots Portugal as being among the semi-finalists, saying the reigning European champs will overcome Uruguay in the last 16, before knocking out a much-fancied French team in the quarter-finals. 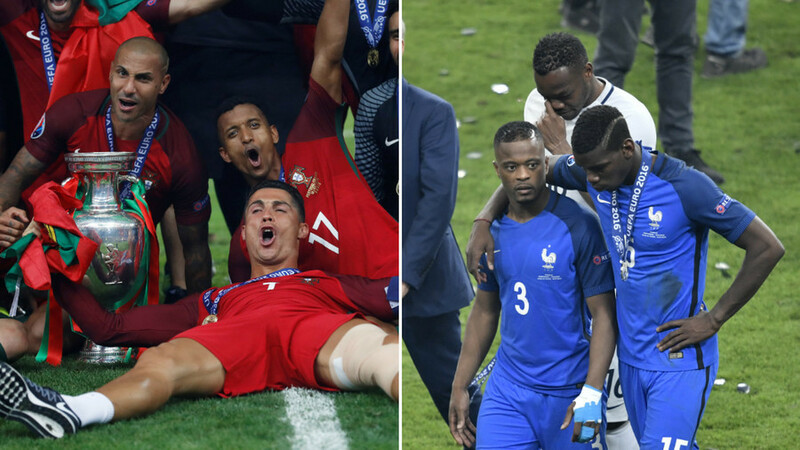 Mourinho backed his compatriots in a predicted knockout game clash against Uruguay “because of my heart,” then foreseeing that Fernando Santos’ men would see off France – just as they did in the final of Euro 2016. He then makes the bold prediction that Ronaldo and Co. would beat a star-studded line-up that includes Paul Pogba and Antoine Griezmann. The Portuguese team would face five-times World Cup winners Brazil in the semi-final, according to Jose, who predicts the Samba Boys would overcome Mexico in the last 16 before knocking out England in a repeat of their 2002 quarter-final. In the other side of the draw, Mourinho has named a mouthwatering semi-final clash between reigning champions the Germans and Lionel Messi’s Argentina - a repeat of the final in Brazil four years ago. The Germans will beat Switzerland and Belgium on their way to the semis, because “Germany is Germany,” according to the Manchester United boss. You won’t need to wait for long before you can find out who Mourinho has tipped for glory in the World Cup final itself, as we’ll be revealing tomorrow exactly how Jose thinks the tournament's grand finale will pan out. 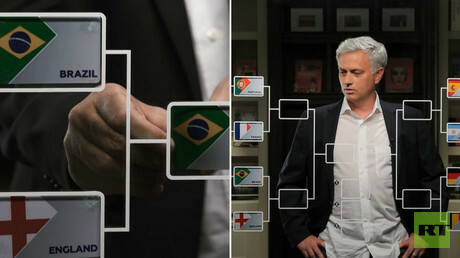 If you think you can match Mourinho in his World Cup predictions, let us know. You can comment at the bottom of this page or on our Facebook page. Also look out for the #MatchMourinho hashtag on social media. Mourinho will be joining RT this summer as a special guest this summer, and will be providing expert insight into all the action in Russia.